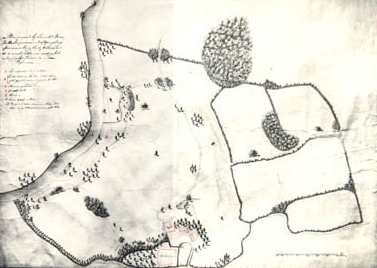 Lancelot Brown designed about 170 gardens, surrounding the finest country houses and estates in Britain. His nickname came from his habit of telling clients that their gardens had ‘great capabilities’. This plan for Youngsbury includes diverting the River Rib and planting innumerable trees to enhance the romantic natural scene. My great great grandfather, Joseph Ward Jones, was a young gardener (age 20) at Youngsbury when the Giles and Puller families were living there in 1861. Its rose gardens were well known for the vast numbers of roses it contained. By 1881 Joseph was the head gardener, employing 9 men and 3 women. During this time the kitchen garden was developed. where the hell is youngsbury ?